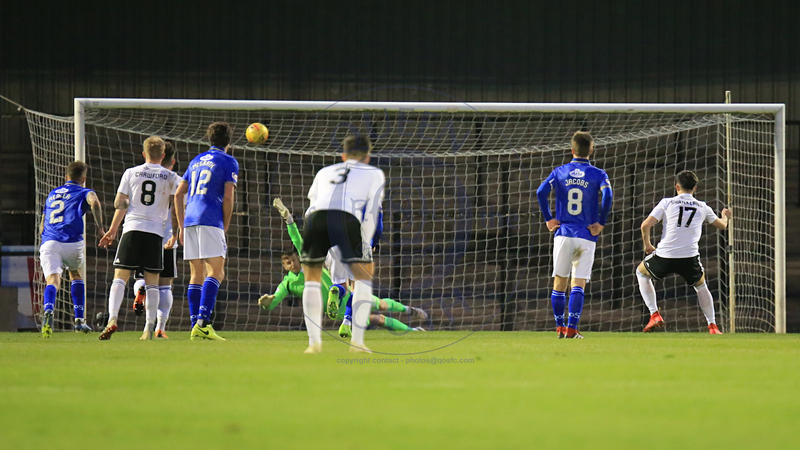 Queens suffered a body blow in their fight to avoid the bottom two in the Championship when they went down by the only goal of the game at Somerset Park tonight. In a match dominated by the home side early on the only goal of the game arrived from a Lawrence Shankland penalty just before the interval. Gary Naysmith`s men began the game in 7th spot looking for three more points which might just about see them safe but ended it still in 7th thanks to easily the best goal difference in the bottom half of the table but only 3 points off the bottom. 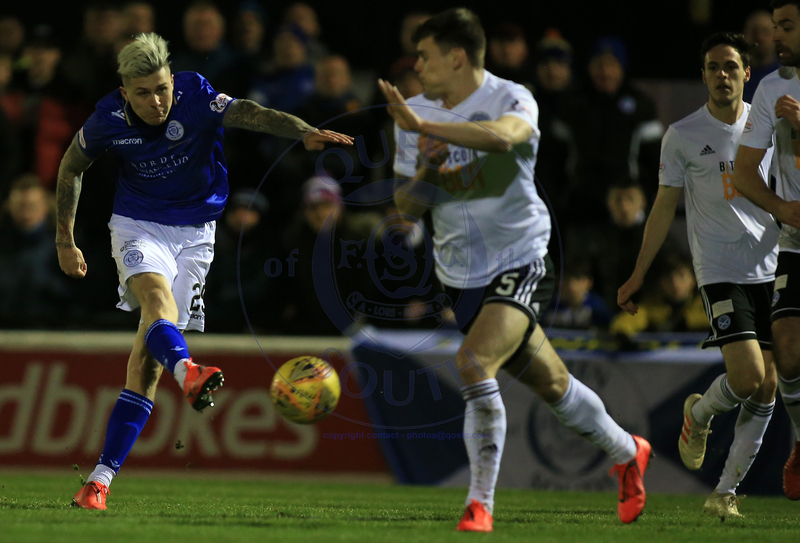 With Nicky Low and Fraser Aird still unavailable but Kyle Jacobs passing a fitness test it was a case of go again for the team who outplayed Morton for long spells on Saturday but couldn`t find a winning goal. It was a very different beginning to the game though with the home side quickly seizing control of the midfield and dominating the early stages. 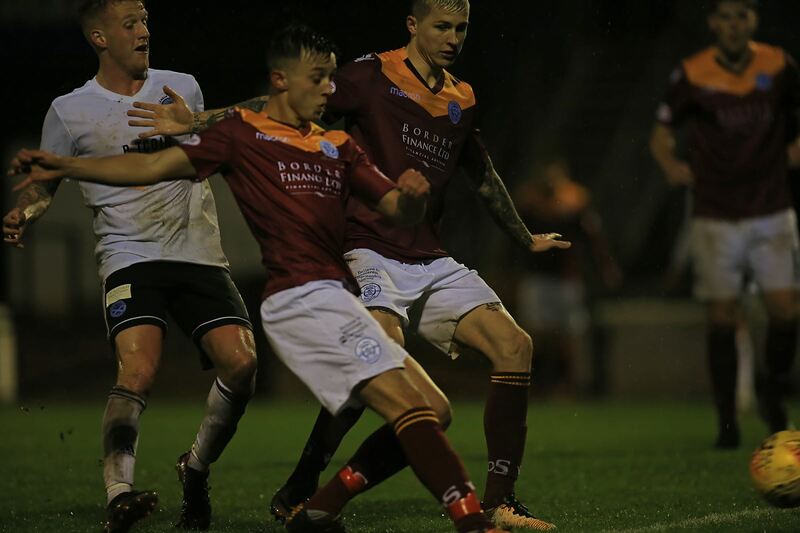 A succession of corner kicks caused chaos in the opening half hour and the division`s top scorer Lawrence Shankland produced an incredible miss, skying an open goal over the bar after Doyle got himself in a mess with Leighfield. 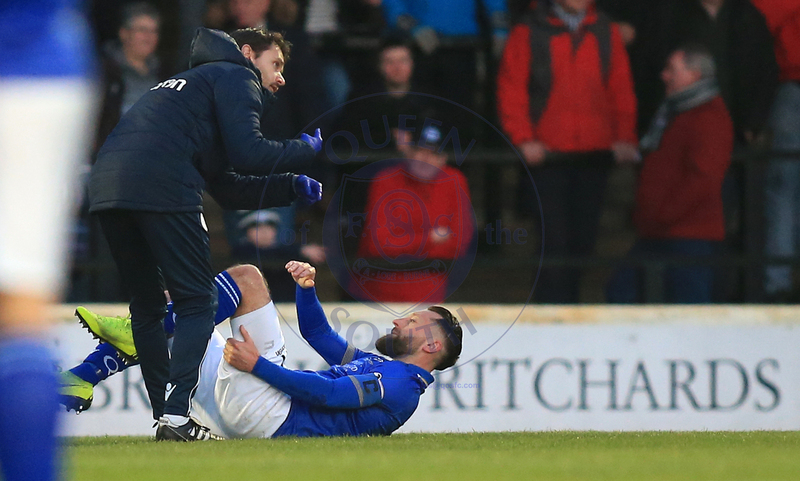 From a Queens point of view though the really disappointing thing was seeing Stephen Dobbie limp off with a hamstring pull just before the half hour mark. 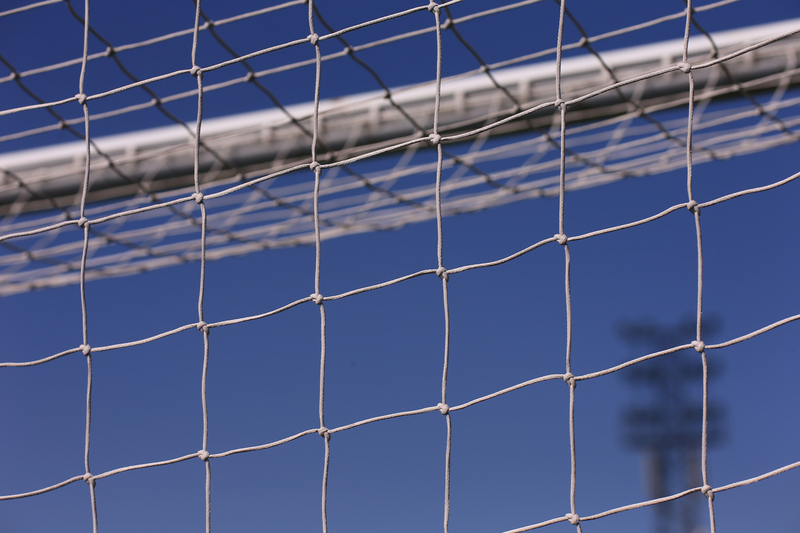 The veteran striker will need to produce a very quick recovery if he`s to stand any chance of matching or beating that single season scoring record now. He may end up just one goal short. In the meantime, Ian McGrath came on to replace him and Kyle Jacobs took over as captain. However, for all Ayr`s early pressure, it looked like the half was going to end scoreless when it all went wrong two minutes before the interval. First Josh Todd was very harshly penalised for a handball out by the touchline when the ball struck him from close range. When the free kick was crossed into the penalty area, Todd went to clear the loose ball but succeeded only in bringing down Robbie Crawford who got to it marginally quicker. A penalty kick was the inevitable outcome. Lawrence Shankland stepped up and rifled an unstoppable effort in via the underside of the crossbar. The second period however saw Queens come out fighting and put the Ayr goal under a lot of early pressure, albeit without causing Ross Doohan too much extra concern. McGrath, Dykes and Stirling all had efforts saved or blocked as the Ayr back line held firm. With 20 minutes to go the Queens management team decided to gamble on a change of formation to make a breakthrough. Callum Fordyce replaced Iain Wilson as the defence shifted to a back three with Marshall and Mercer pushed forward and Todd playing a central midfield role whilst Andy Stirling was pushed further forward and given a free role. Queens best chance arrived with about 6 minutes to go when Lyndon Dykes broke clear down the left side and fizzed a high ball across goal which McGrath managed to get his head onto but couldn`t quite direct on target. Instead it flashed across the face of goal and wide of the post. Connor Murray replaced Kyle Jacobs for the final few minutes as Queens got their 3rd captain of the night, Fordyce taking over, but it was to no avail. Although McGrath had another shot charged down there was no breakthrough to come and it was the home side who cemented their playoff spot with the three points. For Queens they remain in 7th spot but Alloa`s win at Cappielow tonight moves them onto the same points whilst bottom of the table Falkirk are just 3 points below us. It`s going to be a very nervy last 4 games.